The top of the monument. 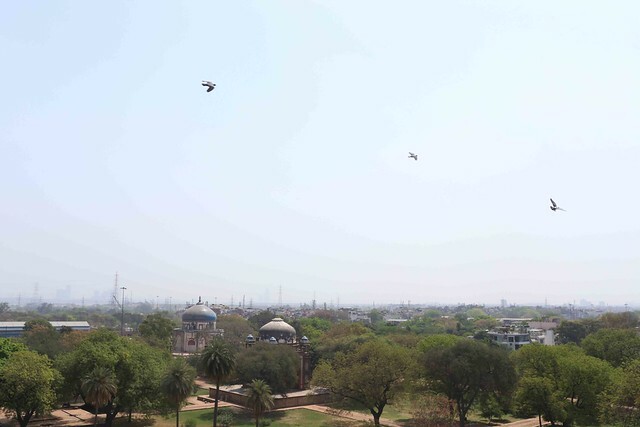 The place is very breezy, and so quiet that you can hear the kites flapping their feathers. 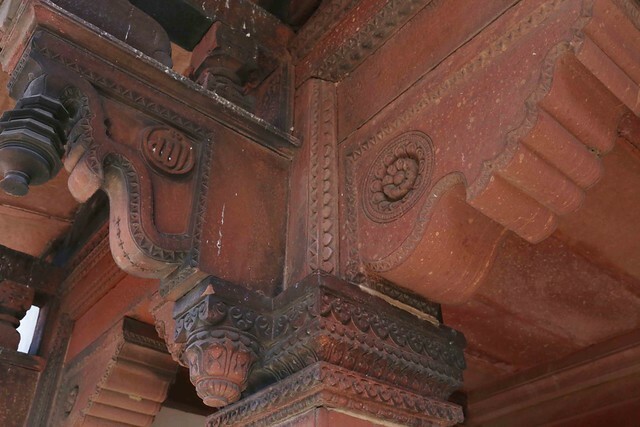 For a brief moment, you may even dream of getting a barsati built right here, only for yourself, and of starting every new day by finding such beauty and grandeur at your doorstep. But, well, it’s not possible. This is not that kind of a place. 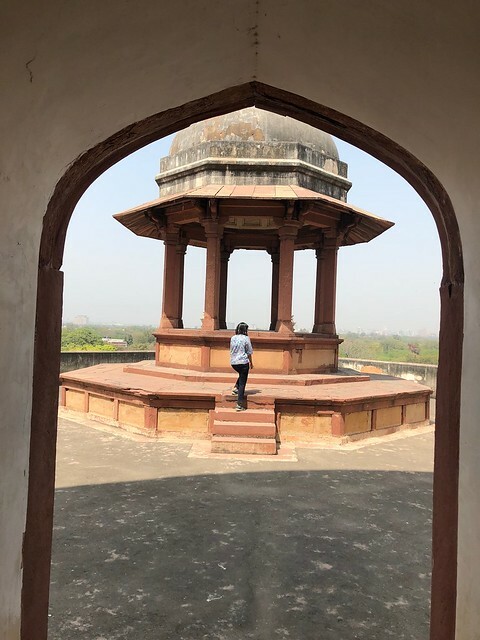 The Delhi Walla is on top of Humayun’s Tomb. 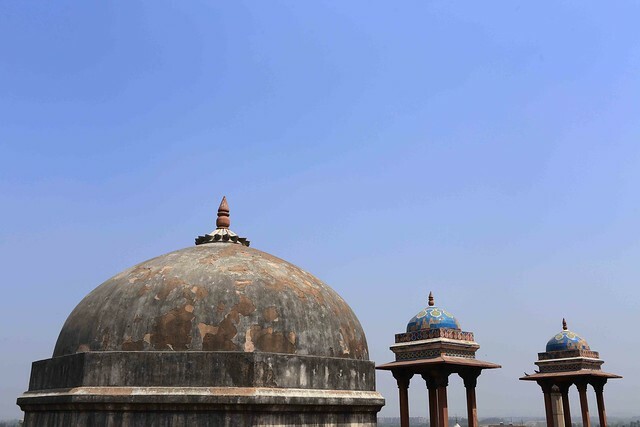 Millions of people visit this 16th-century Mughal monument every year, but none of them get access to its very top. 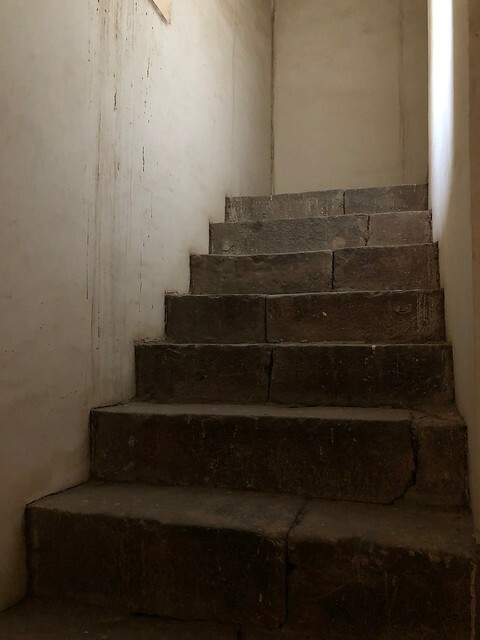 Granted a special authorisation, we walk up through a dark swirly stairway, otherwise locked to visitors, and reach up to the open air. 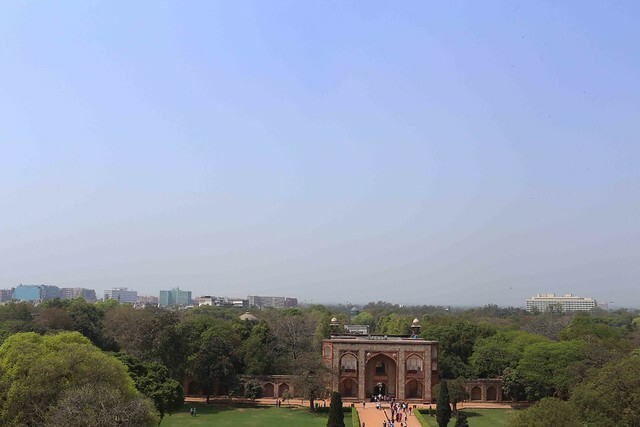 From this height, Delhi is not looking like Delhi. All that can be seen are trees, lots of them, spreading out until the line of horizon as if green had smudged out of a painter’s canvas. 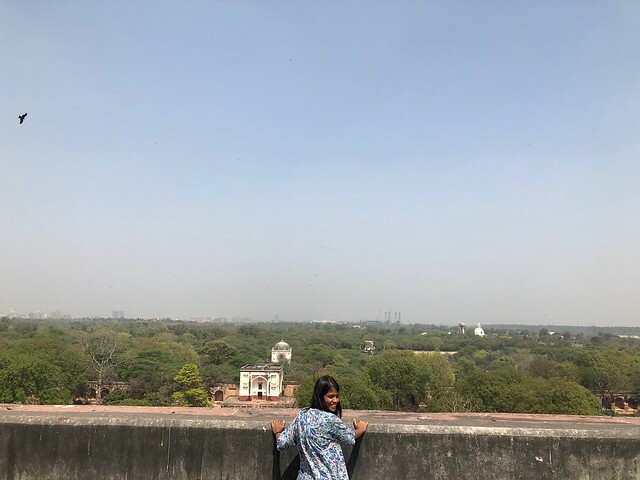 On leaning over the parapet, I see the tomb’s gateways, the pavilions, the enclosure wall, and dozens of tourists — or are they dolls? 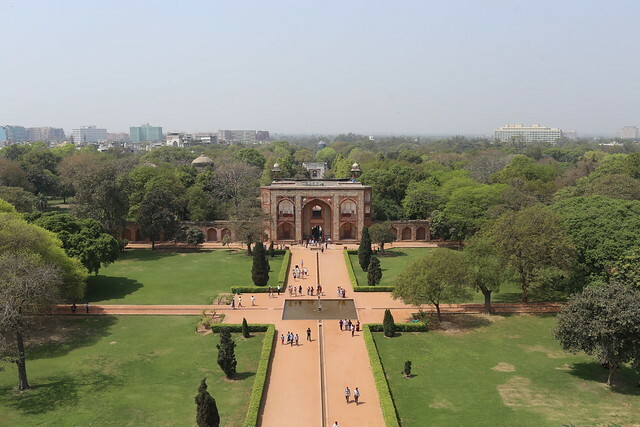 Standing at the top of Humayun’s Tomb feels a bit like being one of the labourers who built the mausoleum all those centuries ago. The big picture is a blur. 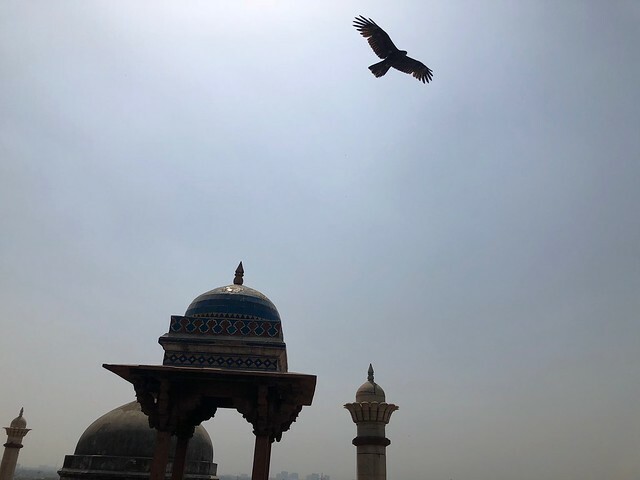 There is no mausoleum. The universe is more like a close-up of slabs, and blocks of stone. Even so, there is much to gaze about. 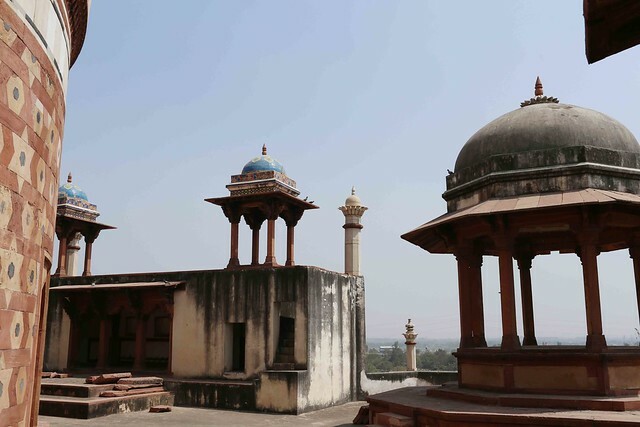 The pavilions on the four sides are clearly inspired from the jharokhas of Rajasthan. The yellow and blue tiles on the stone canopies glint majestically under the strong afternoon sun. 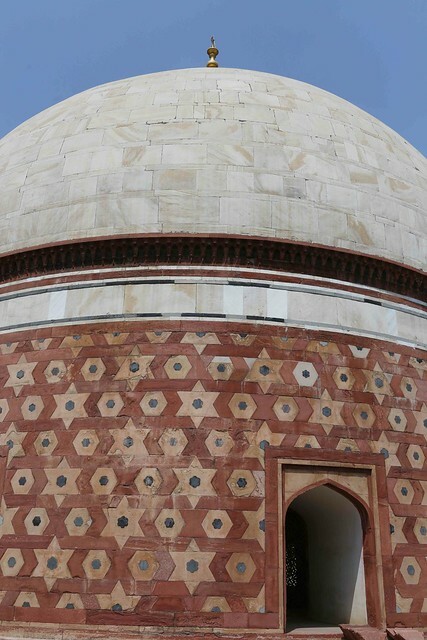 And now, the proverbial elephant in the room no one can ignore: the tomb’s central dome. 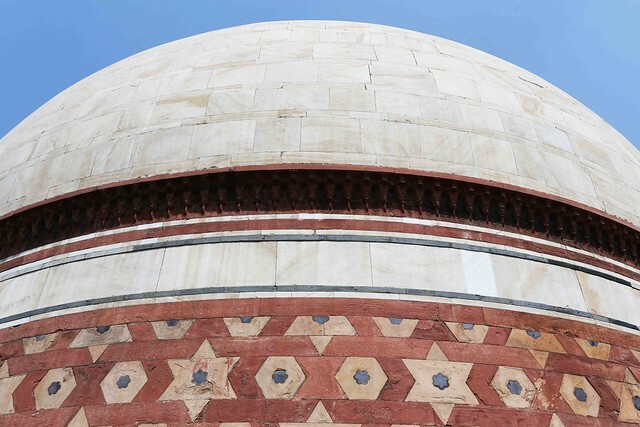 To us Delhiites, it is the part of the monument that symbolises Humayun’s Tomb. 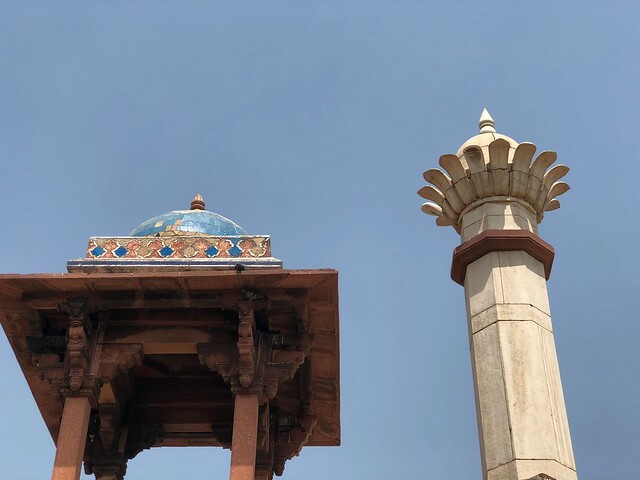 The mere, even partial, glimpse of it from Nizamuddin East’s windows, just across the tomb’s lawns, gives that neighbourhood its inarguable exclusivity. 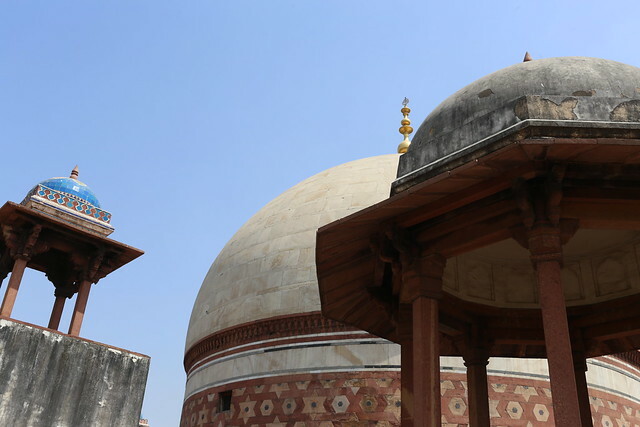 At this close distance, however, the dome resembles a giant egg shell. While leaving, we ought to touch it with our bare hands—an almost unthinkable opportunity. It’s thrilling.